BACKING ON TO OPEN FIELDS! HOME ESTATE AGENTS are proud to offer for sale this well appointed two bedroom semi detached property situated on the peaceful Stott Drive. 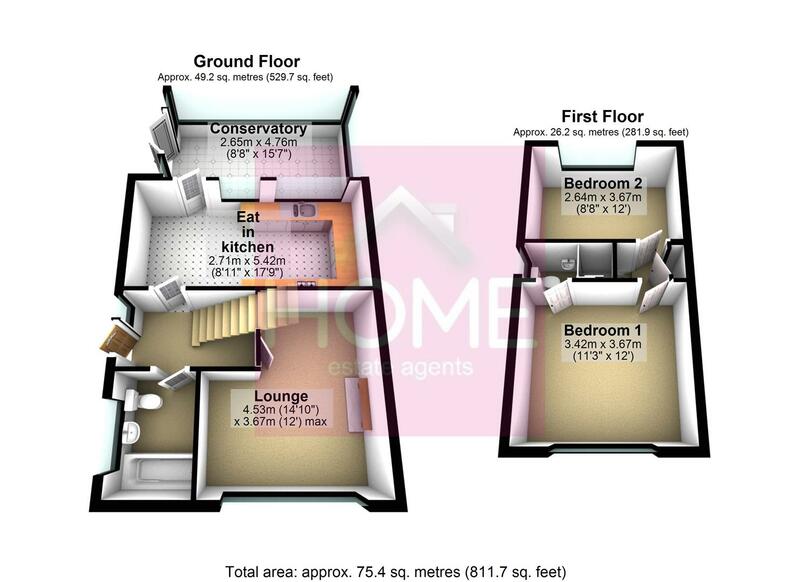 In brief the accommodation comprises hallway, lounge, fitted ‘eat in’ kitchen, conservatory, downstairs three piece bathroom, landing and the two double bedrooms. The master bedroom boasts a three piece ensuite shower room. The property is warmed by gas central heating & is uPVC double glazed. Externally to the front there is a pleasant garden with driveway. Through wrought iron gates the drive continues to the side & leads to the rear. To the side & rear the garden really must be seen. Benefiting from an extensive mainly lawned garden, patio area & is backing onto open fields. Due to the size of the plot there is genuine potential for extensions subject to obtaining the required planning consent. To book your viewing call HOME on 01617471177.
uPVC double glazed door to the side and uPVC double glazed opaque window to the side. Stairs to the first floor. Radiator and wooden effect floor. uPVC double glazed window to the front and radiator. Wooden fire surround with tiled hearth and back housing a wall mounted gas fire. Television point and understairs storage cupboard. A comprehensive range of fitted wall and base units with a rolled edged worktop over. Integrated four ring gas hob, double oven and space for appliances. One and a half unit sink with mixer tap, splash tiling, radiator and gas central heating boiler. Two uPVC double glazed windows to the rear and uPVC double glazed door leading to the conservatory. uPVC double glazed on three sides with uPVC double glazed roof. uPVC double glazed door leading to the garden. Tiled floor and radiator. A modern three piece suite comprises low level WC, wash hand basin and bath. Tiling to compliment, tiled floor, uPVC double glazed window to the side and ladder radiator. Closed balustrade and built in storage cupboard. A three piece suite comprises low level WC, wash hand basin and shower cubicle. Tiling to compliment. uPVC double glazed window to the side. uPVC double glazed window to the rear, storage into the eves and radiator. To the front there is a pleasant ornate garden with mature plants and shrubs. There is a driveway which leads down the side through wrought iron gates. To the side and the rear there is an extensive lawned garden, patio area, mature beds and several fruit trees/bushes. We have been advised by our client that the property is Freehold.